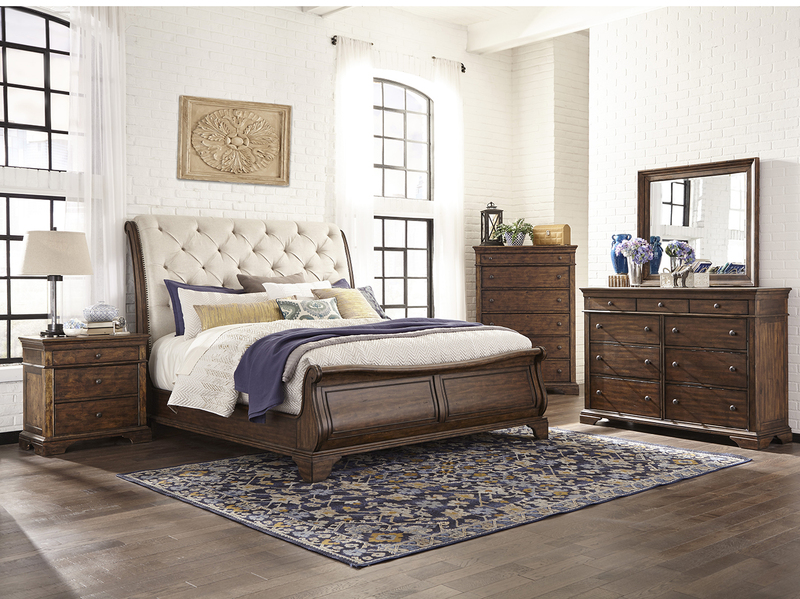 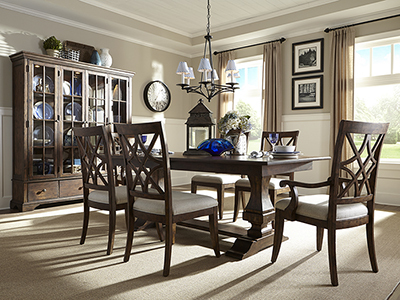 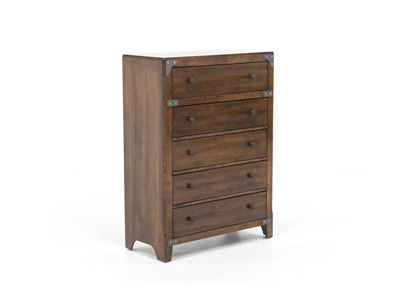 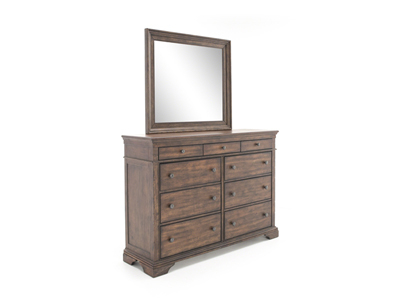 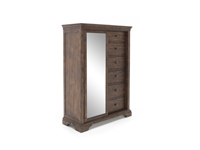 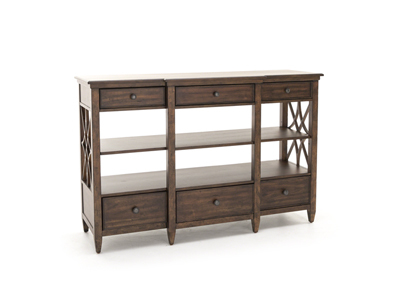 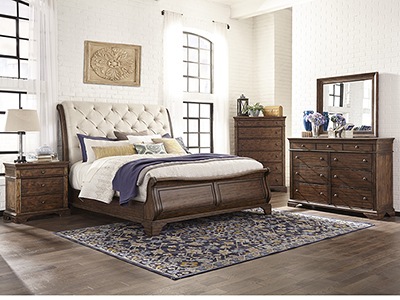 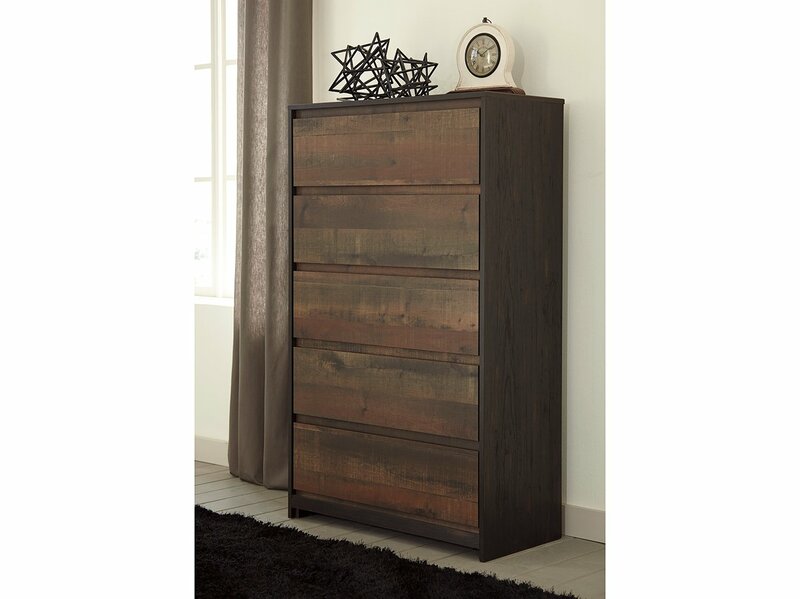 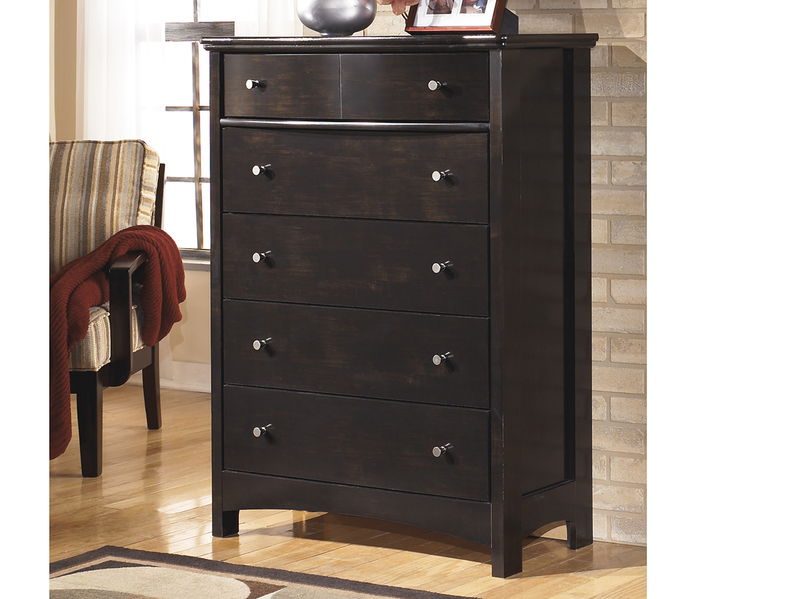 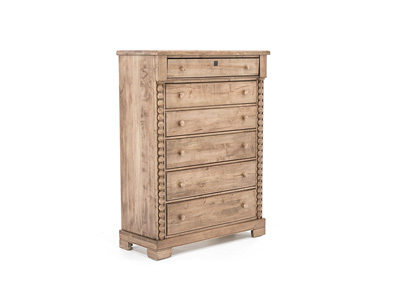 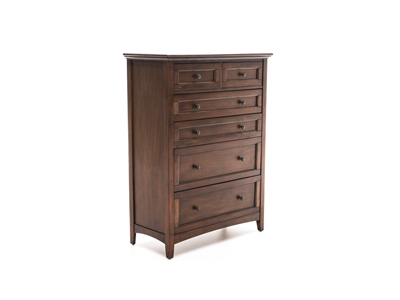 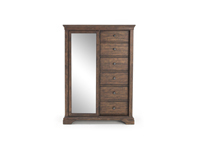 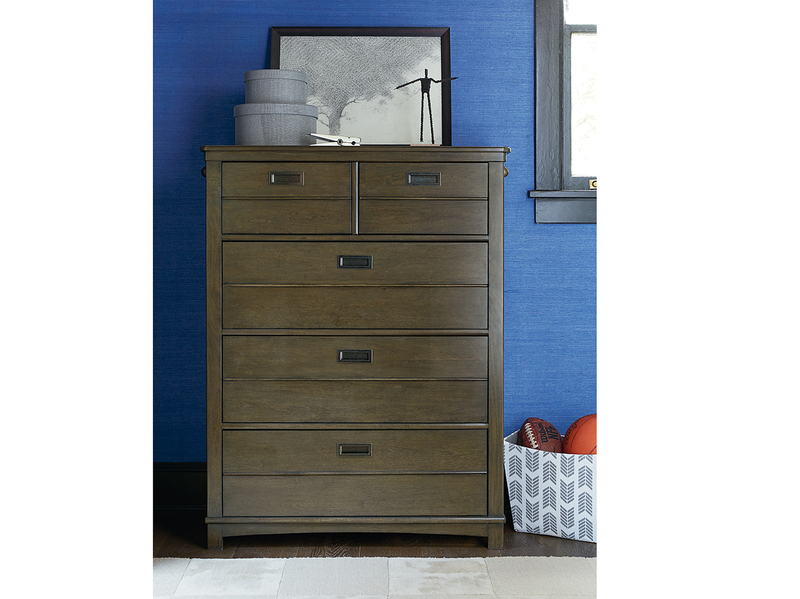 This versatile and gorgeous chest with a sliding, mirrored door is a perfect mix of elegance and casual, homey warmth. 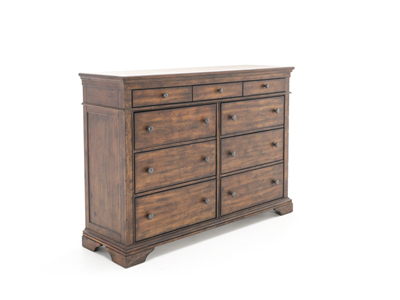 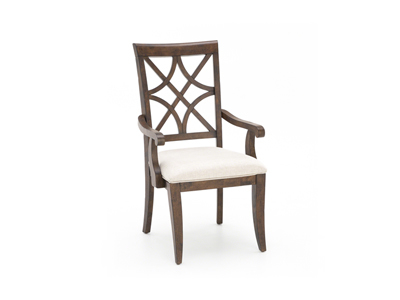 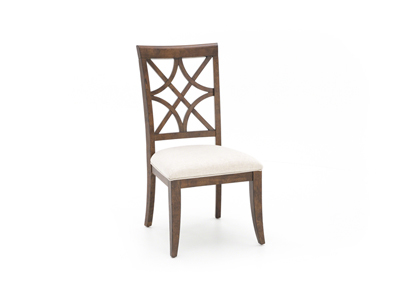 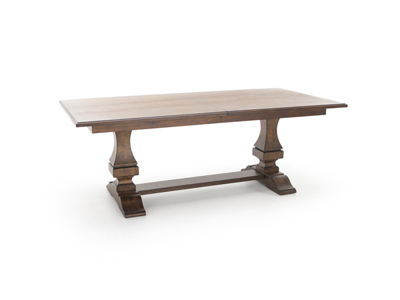 The beautiful brown finish with heavy distressing and burnishing creates an uneven relaxed appearance to reflect years of wear and tear. 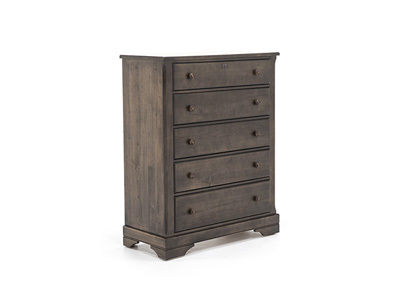 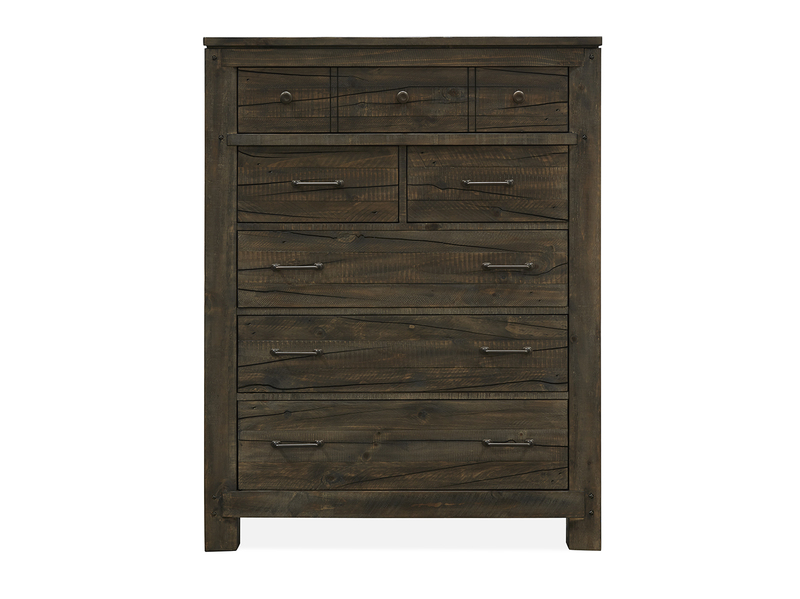 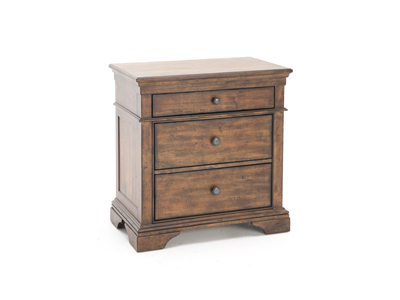 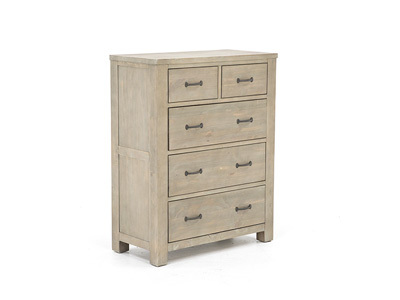 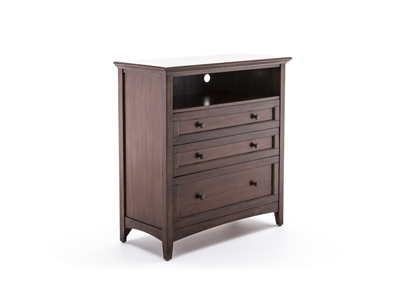 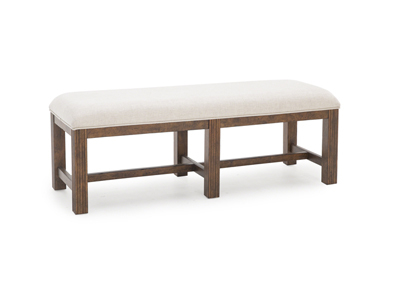 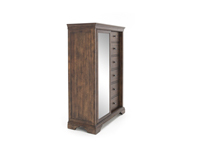 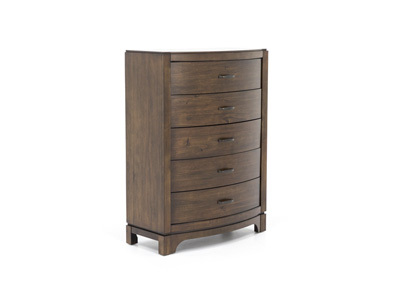 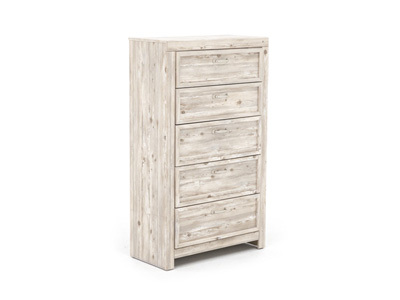 Fully furnished and sanded drawers provide plenty of room for your clothing and personal items.